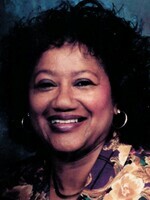 Catherine Wilkerson Goode, age 72, of Shelby, NC passed away on Sunday, January 13, 2019. Catherine was a native of Rutherford County. Left to cherish her memory are her husband John “Jack” Goode; daughters Kim Miller of Rutherfordton, Amy Davis and significant other Cameron Moore of Rutherfordton; son Lewis Skippy Logan and wife Mandy of Rutherfordton; step-son John Dwayne Goode and wife Andrea of Belmont, NC; brother Boyce Wilkerson of Spindale; sister Patricia Wilkerson of Spindale. Grandchildren: Ginger Cierra Logan, Lewis Aaron Logan, Marcus Twitty, Allyshia Logan, India Logan, Henry Miller and Bella Goode. Great Grandchild: Amar’e Mychai Abernathy. Catherine was preceded in death by her parents Ray and Georgia Copeland Wilkerson, brother Lewis Wilkerson and sister Margaret Wilkerson Patterson. Funeral will be conducted at Gold Hill Baptist Church in Rutherfordton on Saturday, January 19, 2019 at 11am. Family will receive friends one hour prior to the funeral. Burial will follow in the church cemetery. Crowe's Mortuary and Crematory is serving the family.